Whenever you stick to the same recipe, you receive identical results. Likewise, changing your behavior is the only way to change your life. However, altering behavior directly is very challenging. Look at how hard it is to shed weight or to stop smoking, yet both have simple solutions: consume less food and stop putting cigarettes in your mouth. While behavior is difficult to alter with sheer willpower, it can be changed quickly with a change in perspective. For instance, you will probably find it impossible to lose weight under normal conditions. But suppose your child needed a organ transplant to live, and also you were the only real possible donor. However, the physician won’t perform the operation before you lose 50 pounds. Do you think you could do it? Not only could you do it, but you’d do it easily. A simple alteration of perspective made all the difference. You don’t need to be forced to make inner changes in order to change your life. You can choose to change your beliefs and perspective to something more useful. Imagine what you could accomplish by making a few inner changes! Suppose you decided that helping others was important. You might start volunteering. While you’re volunteering, you meet new people and learn new things. You make new friends and perhaps date someone you never would have met otherwise. You might even get a job. All of this began with making contribution a priority. Examine your current beliefs. Are your current beliefs holding you back? Are you certain that the things that you believe are true? Are you aggressively and enthusiastically pursuing your goals each day? Everyone has limiting beliefs. What are yours? Your beliefs are like your software. If your software is faulty, you aren’t operating efficiently. Examine each belief you have and determine if it is serving you or holding you back. Look at your behavior for clues regarding your inner world. What must you believe to be behaving the way that you do? Inner changes change your habits. 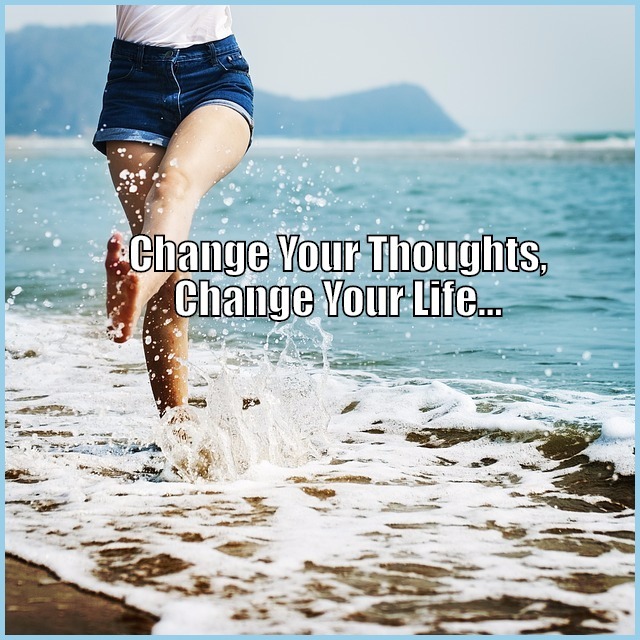 When you change your thoughts and beliefs, your habits will change, too. When the things you do each day are altered, your results are altered. Envision the life you want to lead. When all you think about is your current life, you get more of the same. Spend some time each day imagining yourself in your new life. When this type of life begins to feel normal to you, you’ll start to make outer changes in your life, too. The first step is making the big decision about the type of life you’d prefer. Most people never make definitive decisions. Vagueness won’t work. Be specific. Monitor your thinking. Negative thoughts bring poor results. If you spend most of your time thinking worrisome thoughts, how can you have a positive life experience? Each time you find yourself having a negative thought, change it to something positive. If you want to experience outer changes in your life, start by making inner changes. Inner changes can be challenging, but they are under your control. As your inner world changes, your behavior will change. As your behavior changes, your outer world will change, too. Try it! You’ll enjoy the results. Is success just slipping through your fingers? Life doesn’t have to be so hard….